Free from local, income, capital or estate taxes, Bahamian trusts are also supported by modern, standard-setting statutes that have attracted some of the world's largest and most successful financial services providers to set up business here. The trust is a unique relationship that allows an individual or a legal entity (the settlor) to transfer assets–which may be of almost any type–to a third party (the trustee) to be administered for the benefit of those chosen by the settlor (the beneficiaries) in accordance with the provisions of a document (the Trust Deed). The concept is based on the separation of legal ownership of the trust assets (which rests with the trustees) from the beneficial ownership (which rests with the beneficiaries). Bahamian law recognizes trusts, and the Supreme Court has a long history of upholding the principles of equity. Many of the world’s largest and most prestigious financial institutions have branches or subsidiary operations in The Bahamas, taking advantage of the country’s stable political and economic system. Discretionary powers. The Act enables a settlor to retain certain discretionary powers without compromising the validity of the trust. The most important includes the power to revoke the trust or trust instrument, or any powers granted by the trust or trust instrument; to withdraw property from the trust; to add or remove trustees, protectors or beneficiaries; and to give directions to trustees. As a result, the settlor is able to ensure that the trust is properly administered. Investment of trust assets. Trustees have been vested with wide discretionary powers of investment and of dealing with the trust property. In this regard, trustees have the full powers of investment and of changing investments as those possessed by individual beneficial owners absolutely. 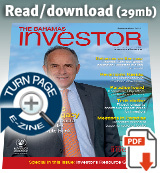 Trustees may appoint agents such as investment advisors, who, on their behalf and in accordance with the trust instrument, may properly invest the trust funds and give investment advice. Managing trustee/protector. The trust may provide for a managing trustee, and a protector may be appointed with wide discretionary powers, ensuring the wishes and intention of the settlor are carried out in accordance with the trust instrument. The Act formally recognizes the role of the protector. Court advice. The Act allows a process whereby a trustee may seek advice and directions from a judge in chambers of the court without the necessity of filing an action. This could facilitate quick resolution of questions relating to the management or administration of a trust property, involving only such interested persons as the judge may find expedient, and saving costs. Maintenance and advancement. The powers of maintenance and advancement can be applied in respect to any minor who has an interest in the income of a trust property. Access. The Act creates certainty as to who may be able to have access to the trust documents. Income accumulation. Income may be accumulated within the period allowed by the rule against perpetuity. In The Bahamas, the perpetuity period rule adopts a “wait and see” approach to “lives in being,” or it may be a fixed period of 150 years. Risk. The Act provides for appropriate flight clauses so that if there is any political upheaval, or any serious activity that would place the trust at risk, the trust and its administration would be transferred immediately and automatically to another country. Registration. Trust instruments and subsequent documents do not have to be registered (except for conveyances of Bahamian real property or personal property) under the Registration of Records Act. The Act also provides for protection of assets against potential creditors, avoidance of forced heirship laws and indemnities for trustees, as highlighted below. This law provides that assets held in a Bahamian trust may be protected from forced heirship claims or the enforcement of other foreign law rules, which are adverse to the free disposition of property. The Amendment Act of 2004 extended the perpetuity period from 80 to 150 years, enabling families to plan for five generations. This Act abolishes the rule against perpetuities for all trusts made after commencement of the Act, ie after Dec 30, 2011. For existing trusts, trustees may apply to the court to apply the Act. This provides creditor protection to trust settlors. Trust assets are generally protected from all litigation in respect of existing claims started more than two years after assets are placed into the trust. Trust assets are immediately protected from any claims arising after such assets are placed in the trust. In crafting this legislation, parliament was careful to ensure that the Act exists for the benefit of “solvent” settlors seeking to safeguard their property from possible future claims. The Act does not provide assistance to proposed settlors wilfully seeking to defeat an existing or contingent obligation owed to a creditor, of which they had notice. Settlors seeking to use the provisions of the Act should take steps to ensure that, under their relevant bankruptcy laws, a transfer into a Bahamian Asset Protection Trust is lawful and acceptable with regard to their particular considerations and circumstances that may exist at the time. While a focus on any of the various types of trusts would be worthwhile, one of the most recent additions to The Bahamas tool kit of products within the trust sector, the Purpose Trust Act 2004, (amended 2011) is worth highlighting. Traditionally, private trusts have named beneficiaries or classes of beneficiaries. Purpose trusts do not fit this mould and are often compared to charitable trusts. A significant difference, however, is that, with limited exceptions, trusts will only be considered charitable if they are for the relief of poverty, the advancement of religion, the advancement of education or some other purpose beneficial to the community. Like many other international jurisdictions, The Bahamas has recently introduced legislation that recognizes trusts for non-charitable purposes. The trust instrument must specify the event upon the happening of which the trust terminates, and provide for the disposition of surplus assets of the trust upon its termination. Authorized applicants. The Act provides for authorized applicants– persons appointed as such under the trust instrument or the settlor of the trust or court-appointed person. These authorized applicants have rights to make certain applications to the court including administrative proceedings, proceedings for breach of trust and also rights to information (unless excluded by the settlor). An authorized purpose trust may create trusts for one or more authorized purposes and one or more individuals, corporations or charitable purposes. While individuals may benefit indirectly from the authorized purpose trust, they do not necessarily have the status of an authorized applicant. Rule against perpetuities. This does not apply to authorized purpose trusts. Holding shares of a private company, expressly authorized by the Act. In this structure, the settlor, members of the family and advisors may be appointed directors of the private trust company and assume some responsibility for the management of the trust. This is useful when assets are of an unusual nature. A trust that has both philanthropic and charitable purposes. Asset purchase or financing transactions to provide security for an entity that finances the purchase or to keep the asset and corresponding liability from appearing on a purchaser’s balance sheet. Separate voting from economic control. 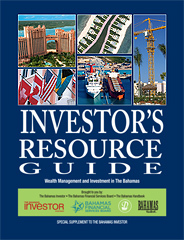 The supervisory and regulatory regime for banks and trust companies as administered by The Central Bank of The Bahamas includes corporate governance, guidance on internal controls and accounting standards, capital adequacy, risk management standards, controls on large financial exposures and self-dealing, safeguards against abuses of conflicts of interest and know-your-customer (KYC) requirements. The Central Bank Act and the Banks and Trust Companies Regulations Act collectively address these issues, as well as cross-border supervision and cooperation by the Central Bank with its international counterparts. Protection of property and assets from legal and political actions that may be taken against the settlor and beneficiaries by transferring legal ownership to the trustee. The SAC may create separate accounts with assets and liabilities which are segregated from the assets and liabilities attributable to every other account and also from the company’s general assets and liabilities.